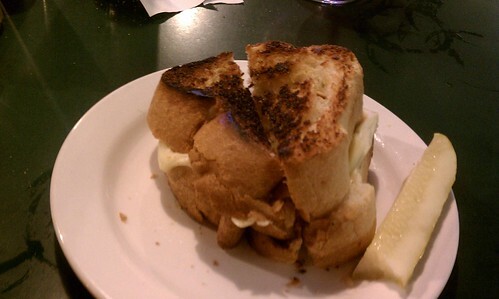 jennster's blog: let's talk grilled cheese sammies! i just have to tell you that while in cooperstown, i had THE BEST GRILLED CHEESE SANDWICH I HAVE EVER HAD IN MY ENTIRE LIFE (sorry mom)!!!!!!! first of all... look at the size of the freaking bread!!!!!!!! screw no carbs, i was all over this thing! 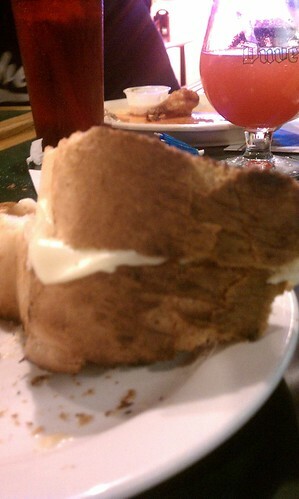 that is seriously the THICKEST bread i've ever seen in my life!!!!!!!! but look at this thing. oh.em.gee. doesn't it look amazing?!?!! and i haven't even opened it yet! 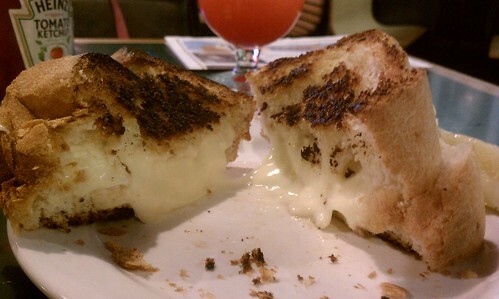 that freaking grilled cheese was literally the best i've ever had in my life! has diners, drive in and dive's been to this diner in cooperstown?! if they haven't, they should go. like now. oh yeah, and bring me with em. America is the only country that colors there cheddar cheese. Yellow is not the color of good cheddar.